It may have been a reaction to the slickness of Web 2.0 glossy icons and reflections that kicked off a big trend for the sketchy, hand-drawn style web design. Done well, this style creates a tactile, artistic and somewhat home-made feel on web sites. In many cases, the design elements are drawn on paper and scanned in, keeping a certain amount of roughness and texture in the process. Pencils, markers, pen and ink provide a unique and artistic touch. I think this style works best when the designer throws themselves fully into it. What I mean by that is that the designer uses many hand-drawn elements: lines, doodles, sketchy fonts for headings, and not just use one element in isolation. 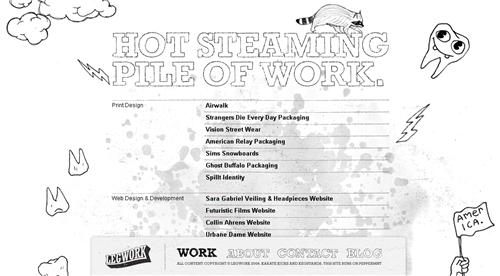 This style certainly lends itself to a more personal feeling, that you won’t find on many of the big corporate sites. 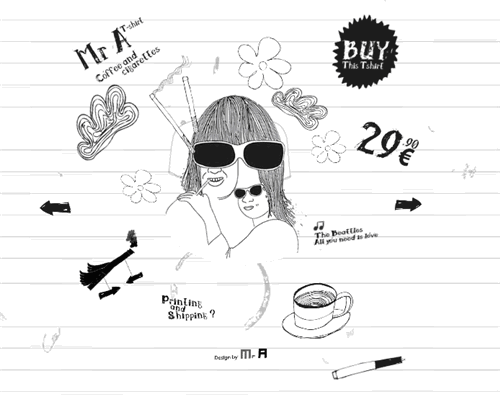 So here’s a collection of ten websites which make excellent use of the hand-drawn style. Many, but not all are portfolio sites. 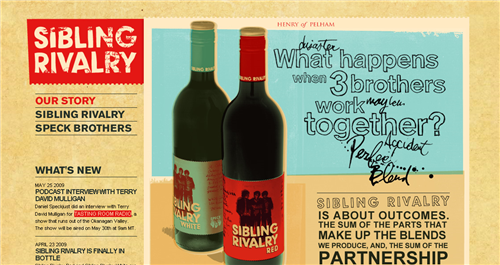 Sibling Rivalry uses images with a slightly retro look, handwritten fonts and little sketches around the site, on a textured paper background. 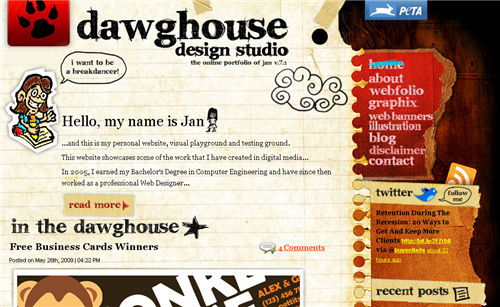 Dawghouse Design Studio is a mixture of doodles, textured papers and headings set using a sketchy typeface. Mr A T-Shirts is a flash-based site and gives the appearance of back-to-basics pen drawing on a copy book. From The Dude himself, Jeff Bridges’ web site is minimalist and looks like it has been hand-written almost in its entirety. 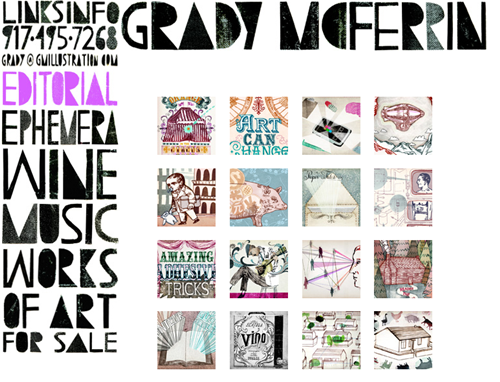 Grady McFerrin illustration style spills out onto the typography used on his website. 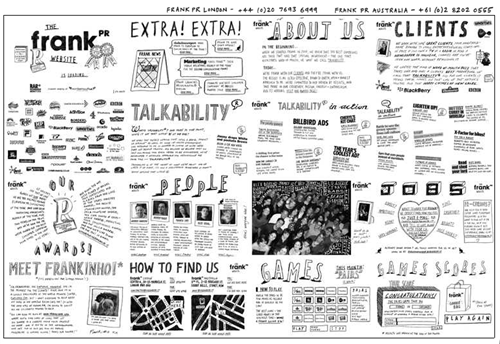 Frank PR looks like a large sheet of paper filled with information. Each section is clickable. Web Designer Wall is well recognized as both a site filled with great information for designers, but also for its sketchbook style. 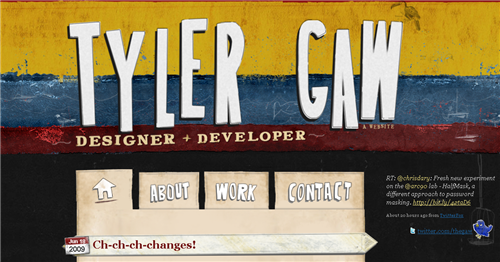 Tyler Gaw a New York based web-designer, has a colorful site with large hand-drawn lettering. Red Nose Day combines handwritten text, hand-drawn lines, boxes and icons. 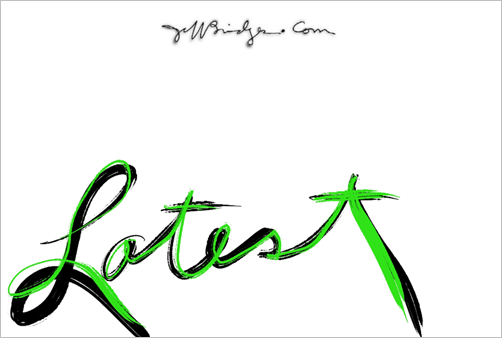 Legwork Studio’s site is black and white and doodled all over. And that’s a wrap. This style is clearly not suitable for all kinds of web sites, but it brings a tangible, personal feel. What do you think of this style? Do you think it’s time to move on, or is it something you’d like to see sticking around?